Below is a list of some of the items that you might need to troubleshoot your unit. When a video file is playing properly, the LCD screen will show “Playing<filename>” and the green LED next to the folder will be on. Multiple reasons could prevent the DVM8500 from playing the file such as a file encoded with an incompatible file type, CF card not formatted correctly, defective/incompatible CF card, or wrong file name. You must always use a PC running the Windows OS when transferring files and formatting cards. Follow to next steps to test each of the possible causes. Solution: Re-encode your video using the correct settings. Our website is a great source for information on this topic (http://alcorn.com/videoencodingguide/). The simplest solution is to use our Mediaflow software to encode the clips. Mediaflow ensures that the videos will be compatible with the player. Although it will leave a watermark in the corner of the video, even the unlicensed version of MediaFlow is helpful for troubleshooting since it will still encode clips. Another helpful troubleshooting tip is to download and try out the test videos on our website (http://www.alcorn.com/downloads) to ensure that the issue is not the file type. B) Incompatible/Defective Compact Flash card – The DVM8500 always ships with a compatible CF card installed in its CF socket. The CF card is where the videos are stored so it is vital to the operation of the unit. The player can only use certain card types/models/capacities. Possible Causes: Your card is not a compatible model; the unit needs a firmware update; the CF card is defective.  Solution: If the factory CF card is missing, we strongly recommend you purchase a compatible CF card from Alcorn McBride. If you still have the factory CF card, try formatting the CF card using the DVM8500 front-panel knob by going to Media Setup>Format>Yes. The contents of the CF card will be deleted during the format!! We strongly recommend formatting the CF card in the DVM8500, but if necessary it can also be formatted in a Windows PC using the FAT32 file system and 32Kb allocation size. C) Improperly Named File – The DVM8500 uses a 5-digit numeric naming system to identify files by number. These 5 digits must be located at the end of the file name prior to the file extension. For example, the file name VID00001.mpg will be identified as file #1 on the player. Logo00002.mpg would be file #2, AttractLoop00003.mpg would be file #3, etc. Though it is not always required, you must use the 5-digit numbering convention if you want to play a file by number or trigger playback using the discrete inputs of the DVM8500. Possible Causes: File name is too long, file has double extension (i.e. Show00001.mpg.mpg), or file name is does not contain the 5 numeric digits at the end of the file name. Solution: Ensure that Windows is configured to view all file extensions so that you can check for a double extension condition (i.e. Show00001.mpg.mpg). If necessary, rename the file so that it ends with 5 numeric digits.